As in the February Newsletter, BELCO is delighted to announce the opening of our new Technical & Warranty Department which is more spacious and comfortable. 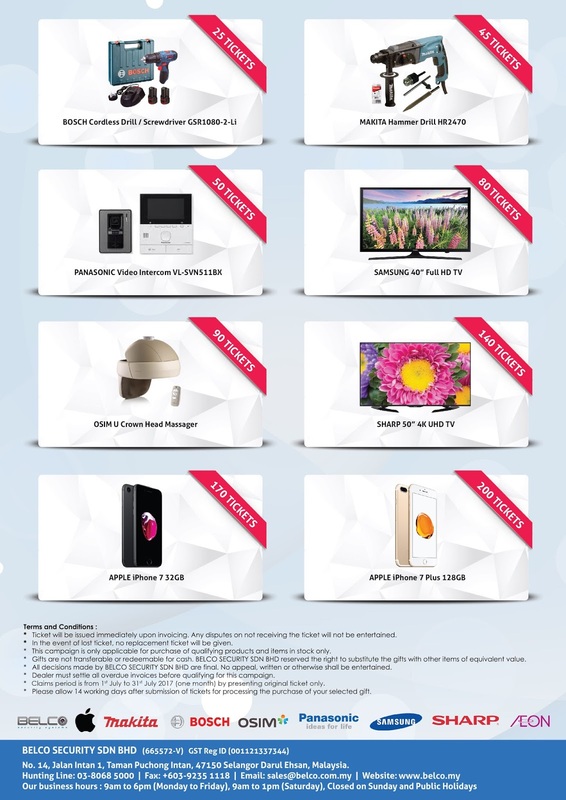 In order to enhance the quality of our after-sales service, we hope to provide a pleasant setup and a professional workflow, as we strive to keep improving to become a prominent security systems distributor in Malaysia. Please visit our Technical Team at Unit No. 8. BELCO is also pleased to announce the appointment of 3 new additional members to our team, Desmond as our Sales Consultant, Ah Wai as our Technical Support, Jazz as our Systems Consultant. As always, our team is hard at work thinking of ways to support our dealers and to offer our best assistance to our dealers. In conjunction of 24th April (Monday) has been declared a public holiday to celebrate the installation of Sultan Muhammad V as the 15th Yang di-Pertuan Agong, BELCO will be closed accordingly. We will resume business as usual on the following working day. Kindly take note and plan your purchases ahead. In other news this week, our April Price List has been released and available for download. You can view the price list from our Dealer Zone on the BELCO website. Lastly in this newsletter, we are excited to organize BELCO Reward Redemption Campaign for the second time with longer campaign period and more exciting gifts. 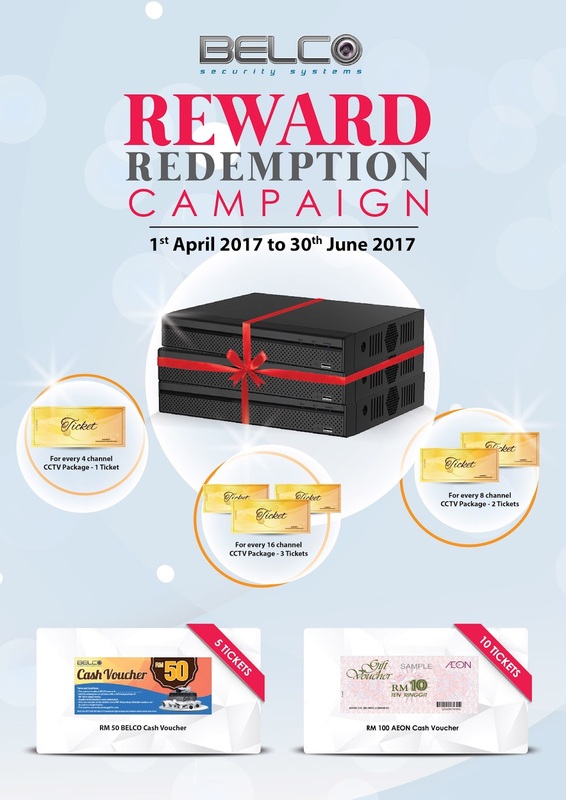 From 1st April to 30th June, we began our Reward Redemption Campaign which tickets will be given for every 4ch, 8ch, 16ch CCTV Package purchase. Happy collecting! 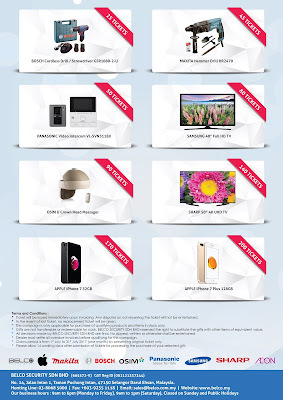 Please find attached files for gift list.